Tip: if you love trains, this is the best place ever to start reading. Fun from the classic world of Thomas the Tank Engine and his railway friends. This extra-simple board book is just right for you little people. 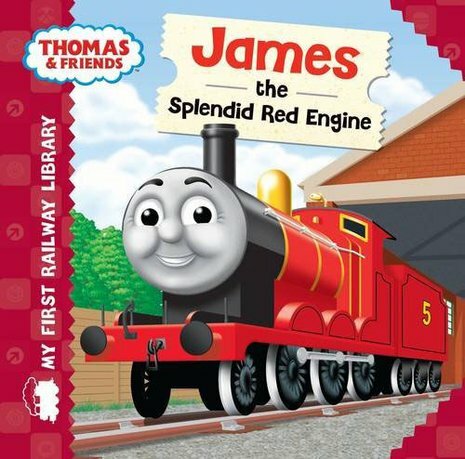 Jolly rhymes and bright colour pictures tell you all about James: the Sodor railway’s number 5 engine. You can spot him from miles away by his splendid coat of red paint. Read all about the jobs he does, his friends and his grand adventures. AD800L Lexiles are the global standard in reading assessment. They are unique as they are able to measure a child and a book on the same scale – ensuring the right book gets to the right child at the right time.